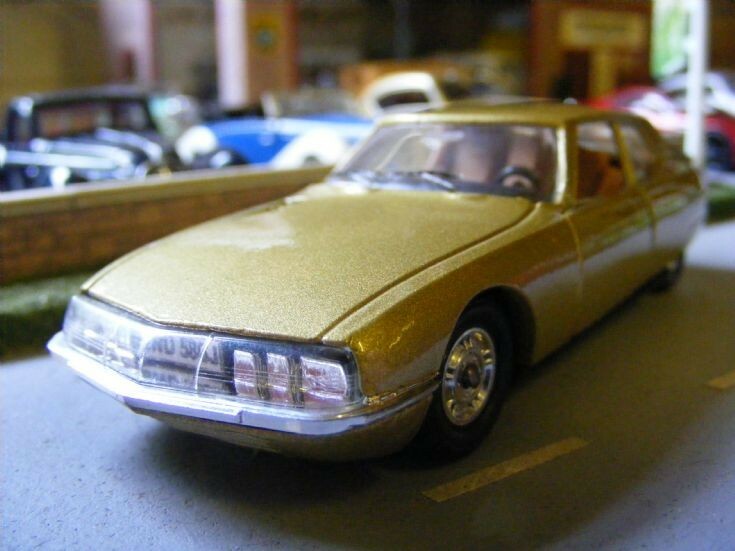 A Citroen SM Grand Tourer in 1:43rd scale by Solido, joins the Museum Collection and a similar model in Dark Red. Although left hand drive I have altered this model as UK registered with the registration plate enclosed as it should be (You can just see the plate behind the glass front. A simple but effective period setting addition.